Spark.me is less than a month away! And today, Justin Timberlake drops a new song that expresses how I feel. I may have modified some of the lyrics ;), but turn up the volume and dance with me. 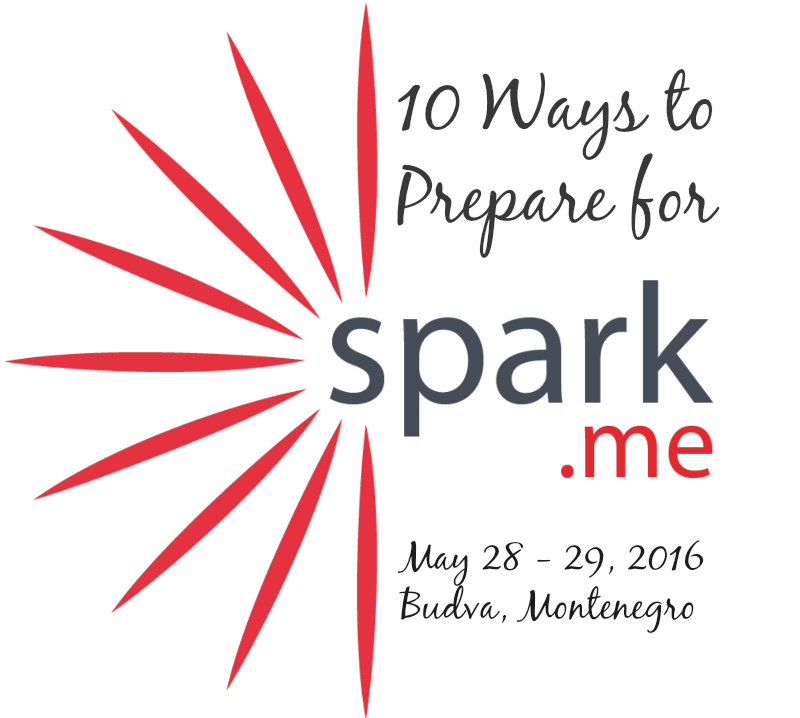 Here’s my TOP 10 checklist to help you prepare for Spark.Me, so you can continue to dance your way to Budva, Montenegro, on May 28-29, 2016. Search Twitter, Facebook and Instagram for anyone talking about #SparkMe. You can then determine if you want to follow them and start conversations ahead of Spark.Me. This works amazingly well for people who might be a bit shy. Make sure you are also using #SparkMe hashtag, so can people can also find and engage with you. Visit the speakers blogs or youtube channels for ideas of how things are going in their lives or in their businesses. Before meeting them, maybe you’ll read that they just closed a B round of funding, and thus might have budget for a project with you. It’s free intelligence before a conversation. Check out the partners for Spark.Me. Visit their web pages. What do you know about them? Are they a prospective vendor for you? A client? Do you see some business value in meeting any of them? Consider writing posts that might help you form conversations at Spark.Me. For instance, if you’re looking to work with startups, write a blog post about how you’d help startups get funding. Thus, people who might investigate your blog ahead of time might also know what you’re thinking about and will engage you. If you’re going to take lots of photos or videos at Spark.Me, check your gear to make sure you’ve got everything (charger, media transfer tools, spare things, etc.). Consider any extra batteries or power supplies you might need to bring with you. Backup your laptop before you travel. You might not think about it, but there are many chances to destroy your data once you’re on the road. Make sure that’s not going to happen. Practice, practice, practice your elevator pitch explaining who you are and what you do. Be crisp. Make it easy to say. Be very clear. If you’re looking for work, be clear that you’re available for a few extra projects. It seems that lots of folks beat around the bush or don’t exactly know how to have a beginning, middle and end to a conversation. REMEMBER, YOU ARE AWESOME! TI SI SJAJAN/SJAJNA! Look forward to seeing old friends and meeting new ones. For now, make sure that we are connected on all these social networks: Facebook, Twitter, Instagram, Snapchat, Periscope and Pinterest.